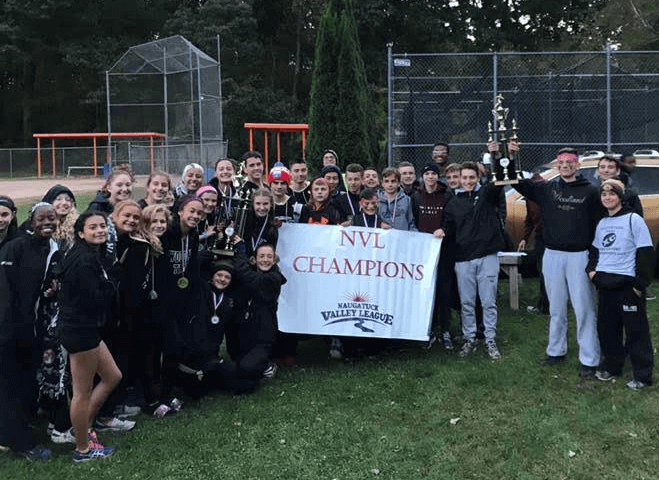 History was made on October 17 when Woodland Cross Country boys and girls teams won the NVL championship title. Both the teams went through the regular season undefeated which helped to prepare for the championship race. Woodland girls defeated the four-year reigning NVL champions, Derby. Woodland girls had only 38 points, Derby with 61. This season, it was Woodland boys cross country’s first time winning the NVL championship title. On the boy’s side, Woodland had 52 points, beating Watertown with 72 points. Through all the hard work and training, the team’s dedication paid off as they both finished the season as NVL champions.